The Madena was designed around the needs of a large family. This home easily accommodates a family of five. Whether they are toddlers or teens the home lends itself to meet their requirements. The large Rumpus room may be utilized as the playroom and later transformed into a media entertainment area. 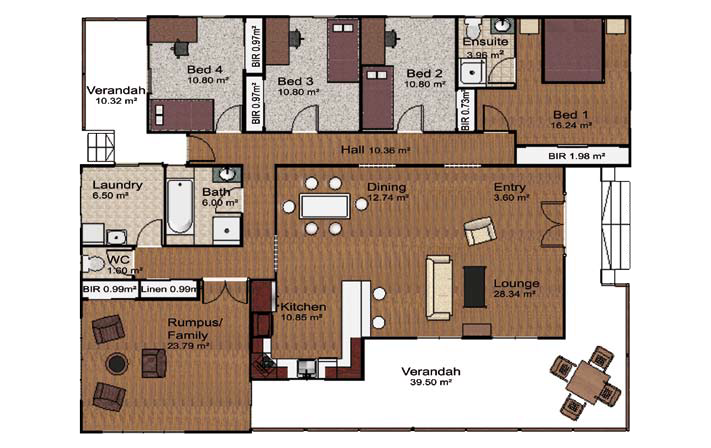 The spacious open living area has easy access to the verandahs. All the bedrooms have been sectioned from the main living and entertainment area for more privacy.